Eleanor Jackson Carmichael, born November 16, 1921 in Abbeville to the late Lucia Woodhurst and Andrew Hagen Jackson, died Saturday, December 1, 2018 at the Hospice House in Greenwood. Mrs. Carmichael graduated from Abbeville High School in 1938 and received a BS degree in Home Economics from Lander College in 1942. After graduation, she held a position with Liberty Life Insurance Co. in Greenville until she joined her mother and sister, Doris Land, in the operation of “The Ladies Shoppe” in Abbeville. She and her sister continued in the business until 1986 when they retired. Following retirement, she volunteered with Meals on Wheels and the school system. Mrs. Carmichael was a lifelong member of the Abbeville Presbyterian Church serving as a Youth Advisor, Sunday School teacher, Moderator of the Women of the Church and member of the Session. 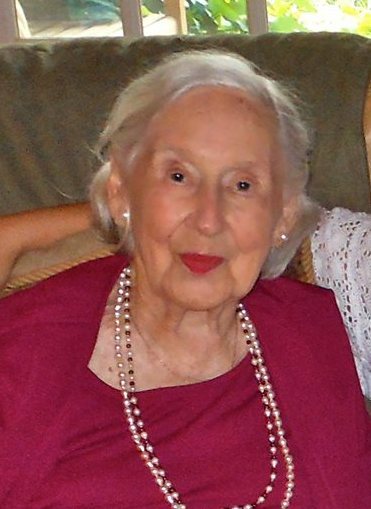 Active in the civic and social life of Abbeville, she was a member of the Green Thumb and Daffodil Garden Clubs, the Entre’ Nous Book Club and charter member of the Abbeville Cotillion Club and High Meadows Club. In addition to her parents, she was preceded in death by her sister, Doris Jackson Land and her husband, J. Stuart Land, a grandson, Leith Paul Trask, III and a granddaughter Caroline Carmichael Bishop. Mrs. Carmichael is survived by a son, Duncan Andrew Carmichael, and his wife, Melanie; two daughters, Meredith ‘Merry’ Trask and Lucia Bishop and her husband, Thurmond; seven grandchildren, John Andrew Bishop, Stuart Land Trask, William Thurmond Bishop II, Mary Hagen Carmichael, Andrew Webster Trask, Anna Frances Bishop Bond and her husband, Matthew, and Katherine Thayer Carmichael. A Service to Celebrate Mrs. Carmichael’s Life will be 3:00PM, Friday, December 7, 2018 in the Abbeville Presbyterian Church with Rev. Dr. Greg Henley officiating. A private burial will be in Long Cane Cemetery. Memorial contributions, in memory of Mrs. Carmichael, may be sent to the Abbeville Presbyterian, PO Box 733, Abbeville, SC 29620. Harris Funeral Home and Cremation Services, Abbeville is assisting the Carmichael family.